George R. R. Martin's Wild Cards multi-author shared-world universe has been thrilling readers for over 25 years. Now, in addition to overseeing the ongoing publication of new Wild Cards books (like 2011's Fort Freak, Martin is also commissioning and editing new Wild Cards stories for publication on Tor.com. 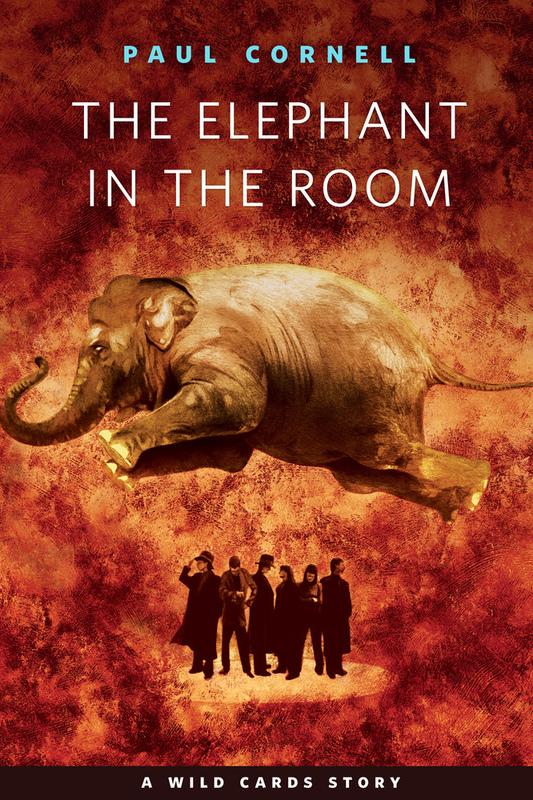 Paul Cornell's "The Elephant in the Room" is the tale of a young woman who can temporarily take on the superpowers of people she's near...and of the crisis this leads her into as she struggles to deal with an overcontrolling mother, a very strange boyfriend, and the beginning of a career. Paul Cornell is a British writer of television, comics, short stories, and novels. He is well-known for his prose and screenplay work within the Doctor Who franchise, including the Hugo-nominated episodes "Father's Day" (2005) and "Human Nature"/"The Family of Blood" (2007). His extensive work in comics has included runs on Action Comics and Dark X-Men. His short story "The Copenhagen Interpretation" was a Hugo Award finalist in 2010, and another story, "One of Our Bastards Is Missing," was a Hugo finalist in 2012. His latest novel, London Falling, was published by Tor UK in December 2012 and will appear from Tor in early 2013.